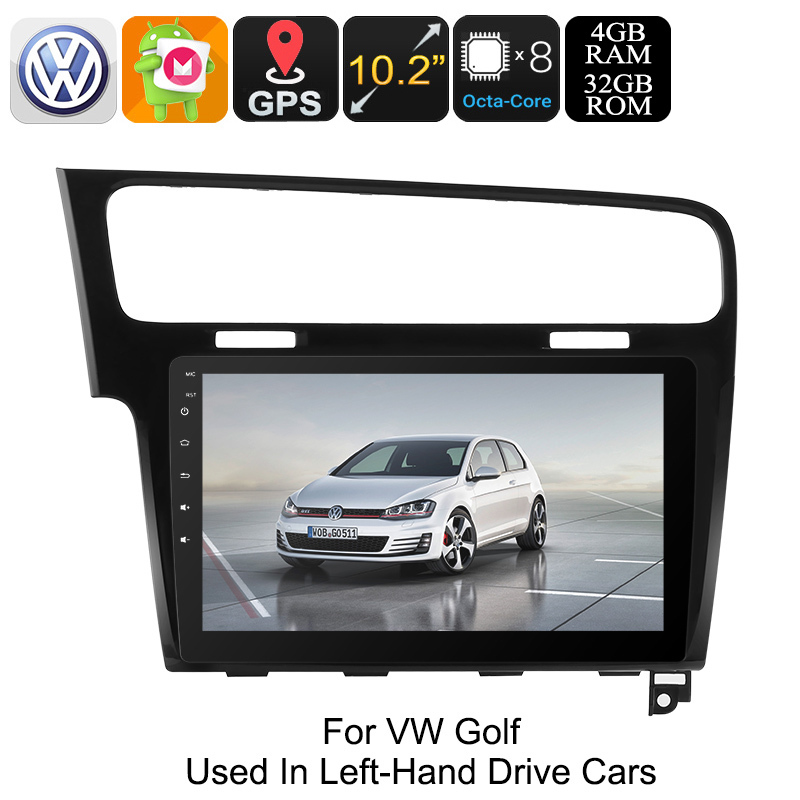 Successfully Added One DIN Car Stereo VW Golf - Android 8.0.1, GPS, Bluetooth, WiFi 3G&4G Octa-Core CPU, 10.2-Inch HD Display, CAN BUS to your Shopping Cart. 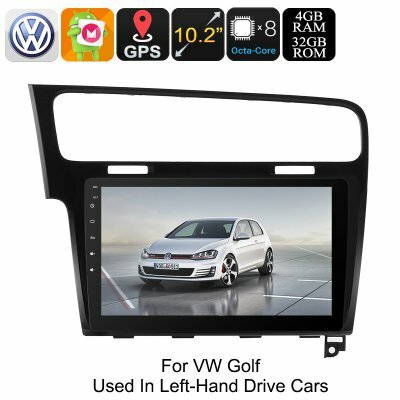 This 1 DIN car stereo lets you upgrade your Volkswagen Golf (Model 2013 – 2017) by placing a stunning 10.2-Inch display straight into your dashboard. On this beautiful HD display, you and your friends will be able to enjoy movies, play games, and use Android Applications from within your car. With its Android 8.0 operating system, this One DIN Car Stereo is guaranteed to bring along a smooth user experience. It even supports WiFi and 3G&4G (Dongle not included) thanks to which you can browse the web at any time. This allows you to download files from the Play Store and to stay connected to friends and family no matter where you’re at. By supporting regular AM/FM radio frequencies, it lets you listen to your favorite radio channels just like any other car stereo would. Additionally, you’ll be able to listen to MP3 and MP4 files via its USB port or SD card slot. With its four 45W speakers, it is guaranteed to bring forth a stunning audio experience. For those of you that wish to enjoy even more convenience, it even supports Bluetooth connectivity. When synchronized with your Smartphone, you’ll be able to listen to your favorite songs stored in your smartphone’s music library as well as engage in hands-free phone calls while driving your car. Besides to all its radio and entertainment features, this One DIN Car Stereo for Volkswagen also comes with a 20-Channel GPS navigation system. From now on you’ll always have the latest traffic information available and can be guaranteed that you reach your upcoming destinations without getting lost or stuck in traffic jams. Simply insert the needed Android maps via its SD card slot, and you’ll be all set to go. With 32GB internal storage and both USB and SD inputs, there is plenty of space to store maps along with all your media and files. Its Octa-Core CPU and 4GB RAM makes sure you can enjoy all the features this car media player has to offer without experiencing any lag. This One DIN Car Stereo comes with a 12 months warranty, brought to you by the leader in electronic devices as well as wholesale electronic gadgets..